Can an old barge sitting in Biscayne Bay help the city of Miami come face to face with the challenge of climate change? 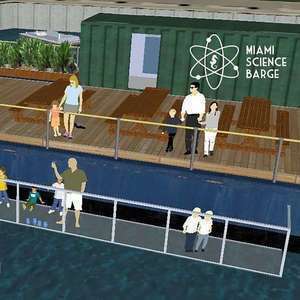 That’s the intent of the Miami Science Barge, a creation of CappSci and one of 32 winners of the Knight Cities Challenge in its first year. Alissa Farina is an innovation associate at CappSci, a foundation that applies “science and engineering to real-world problems, and one of the organizers of the Miami Science Barge.